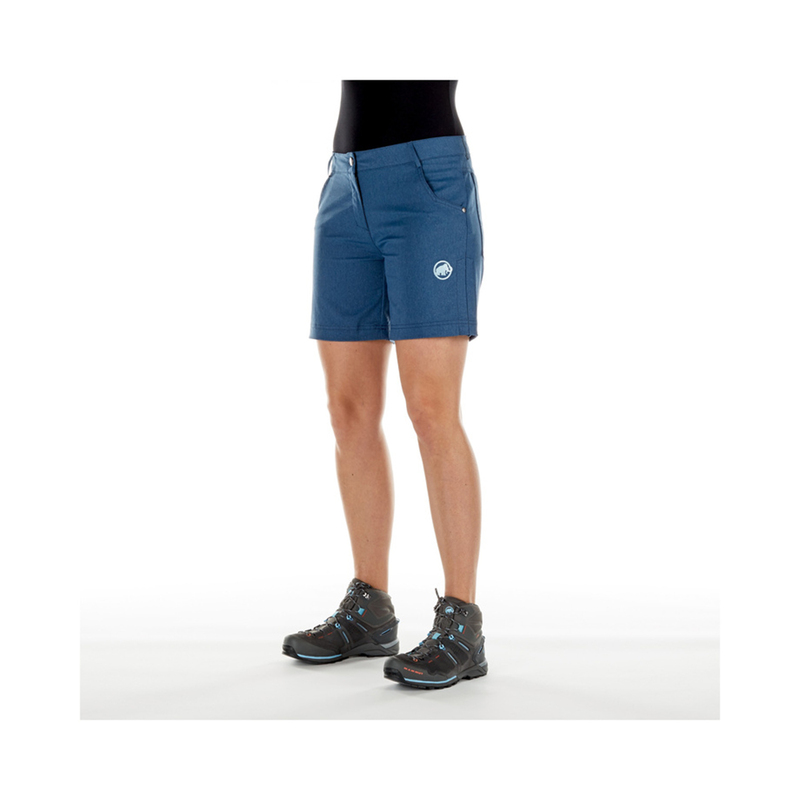 The Mammut Massone Shorts Women are lightweight, quick-drying climbing shorts that blend durability, comfort, and stretch. 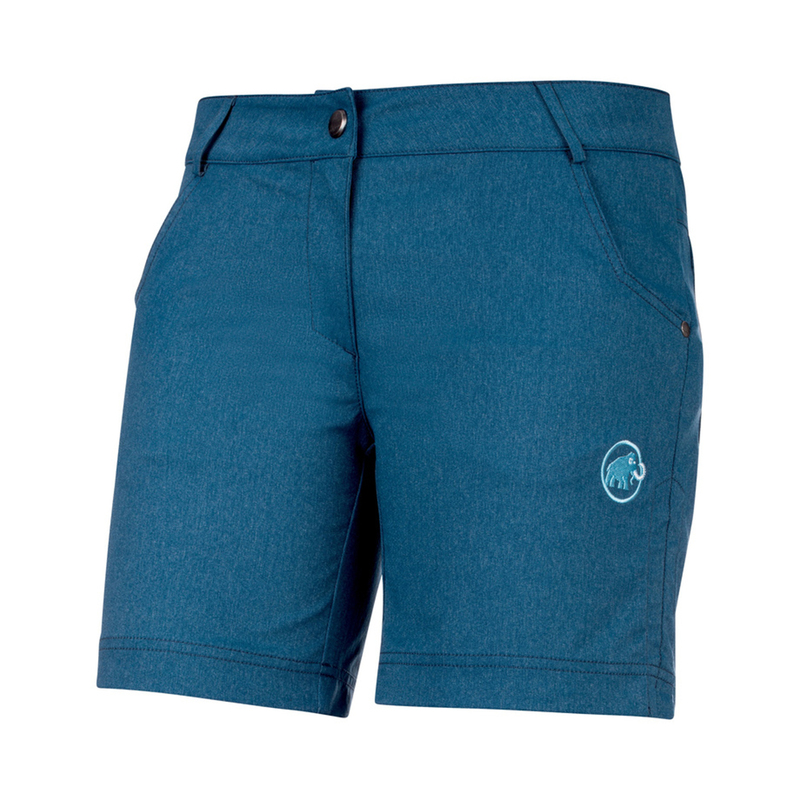 They feature a gusseted crotch to enhance range of motion, and an elasticated drawstring on the side to adjust their length. Ideal for summer climbing.